Traylor's Underground Division Captures Metro Vancouver's Second Narrows Water Supply Tunnel - Traylor Bros., Inc.
Metro Vancouver has selected the Traylor-Aecon General Partnership, a consortium of Traylor Infrastructure Canada, LLC and Aecon Infrastructure Inc., to construct a new water supply tunnel under the Burrard Inlet, one of five new water supply tunnel crossings in the region. 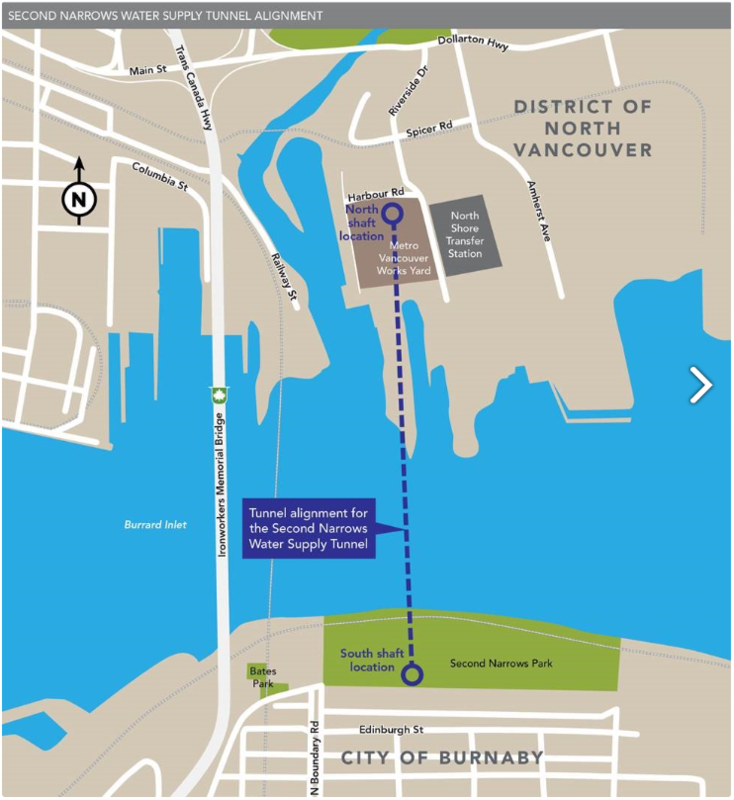 The tunnel, built to withstand a major earthquake, will increase the capacity of the existing system. The structure will be approximately five meters in diameter (16.4 feet) and 1.1 kilometers in length (3,609 feet). The project is scheduled to begin in late 2018, with completion in 2022.